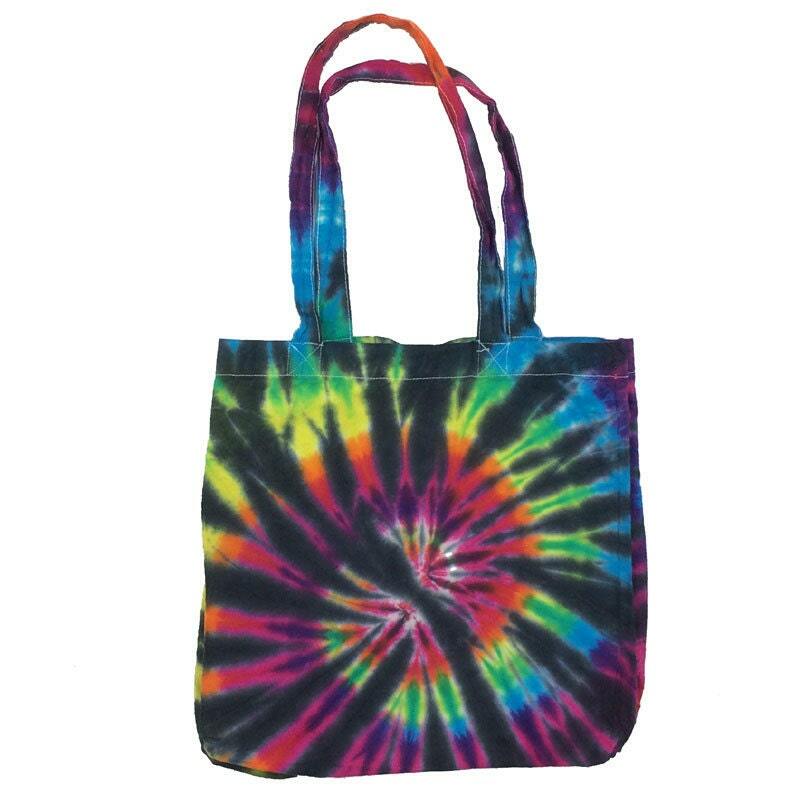 These cotton tie dye bags are great for shopping or just carrying stuff around! About the same size as a paper grocery bag, these colorful bags will come in handy for a variety of occasions! 13"x13.5"x8"